Cameryn Padron is a senior in the IB program. Cameryn is starting her fourth year working for Cavsconnect and her second year as the new Multimedia editor. Outside Cavsconnect, Cameryn has been captain of the junior varsity volleyball team and apart of the Varsity Volleyball team. She loves to take pictures, hang out, and watch movies. Cameryn is a very creative and happy girl. Academically, her favorite subjects are Chemistry and Math. She is a part of four clubs: NHS, IBHS, Gables Earth, and NSHS. Cameryn would love to study to become a dentist after she graduates. She has one older brother in college. She lives with her mom, dad and three small dogs. 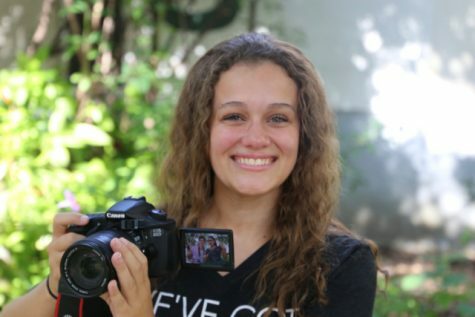 Cameryn loves her photography squad and enjoys covering events with all of them. She would love to make new friends and acquaintances over the course of her journey at high school. Cameryn is ready to continue her adventure as a photographer and learn the ways of videography. One day she will pass on her role to someone even greater. She hopes to keep Cavsconnect great again.